Anyways – they were so impressed with how I’ve supported and encouraged them over these few days, that at my last session with them this morning, they produced a fruit basket as a traditional means of expressing their thanks for all I’ve done with them over the last couple of months. And I’m very touched – normally, at the end of supporting an individual or group, there’s the awkward handshake and assurances about keeping in touch, but this felt really nice – so thank you Access Alpha Ltd of Burnley, and may the universe reciprocate your generosity many times over. Earlier this week I took the opportunity to spend a morning hanging out with fellow graduates of Common Purpose programmes in the North West (Common Purpose is an international charity that encourages people to develop leadership skills so that they can have more impact and generally make the work a more groovy and lovelier place for everyone). But that’s OK because whilst immersing myself into the Common Purpose world hasn’t helped me to develop and enhance my leadership skills (on reflection I’ve felt that what they’ve encouraged people to embrace I already have quite a lot of already), it has and does give me some great opportunities to not only meet fantastic people, but also critically reflect on my own working practices and philosophies from perspectives and contexts I would have otherwise missed. As a freelancer, most of my ‘natural’ networking opportunities are with fellow sole traders and consultant-types - Common Purpose is very good at bringing a disparate group of people together to openly talk about the various challenges we face and how we can manage and resolve our fears in how we might best address them. 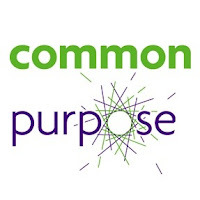 Common Purpose advocates and encourages you to take responsibility for ideas that would normally be seen to be outside of your role. 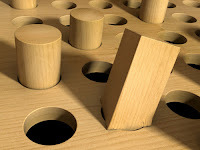 I’ve always done that – but being part of the Common Purpose tribe has meant that I’ve been able to better reflect on how when I’ve done so I’ve been developing my own leadership, influencing and supporting skills and intelligences – its led me to realise that I’m very often a square peg in a round hole, but that this is usually a good thing to be.